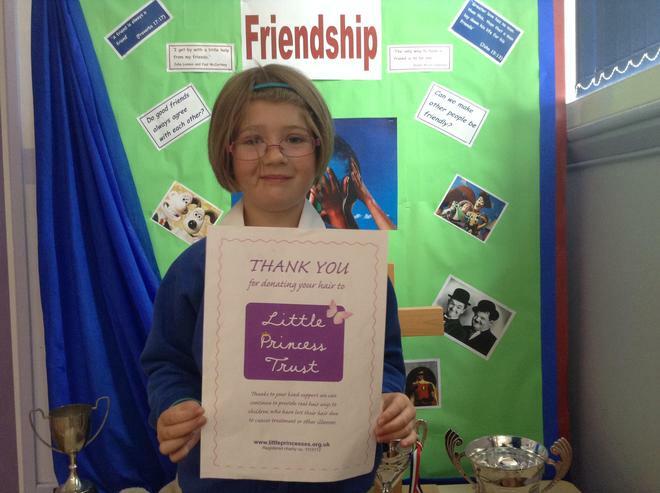 On Saturday 4th July, Abigail in year 1 had one inch of hair cut to donate to 'The Little Princess Trust'. They buy real hair wigs for boys and girls who have lost theirs through illness and treatment. Abigail also wanted to raise money for the charity as one wig can cost £350. To date Abigail has raised £70. As a school we are so proud of the kindness Abigail has shown.